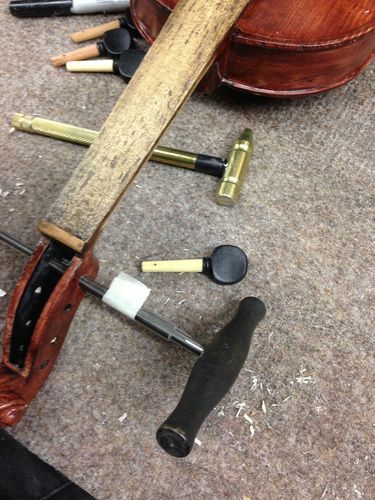 Putting the fiddle together and finishing it are just part of this process. A lot has to be done to set it up to be played. I began by re-reaming the hole for the end button since some of my finish got in it and made the hole smaller. Then I taped the tuning pegs. The pegs come bigger than necesary and should be tapered down for a new installation. 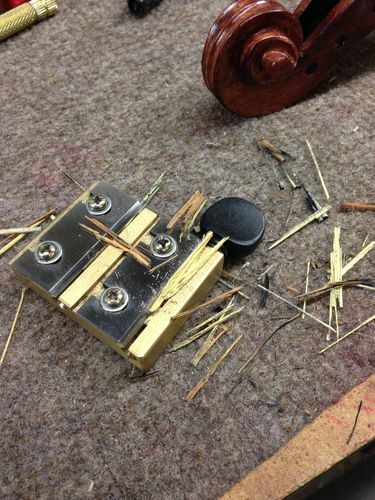 If I were dealing with an older instrument, one that had seen some time and wear, particularly in the peg box, I would likely not need to taper the pegs nearly as much. With the pegs tapered, each hole in the peg box must be reamed to fit one of the four pegs. 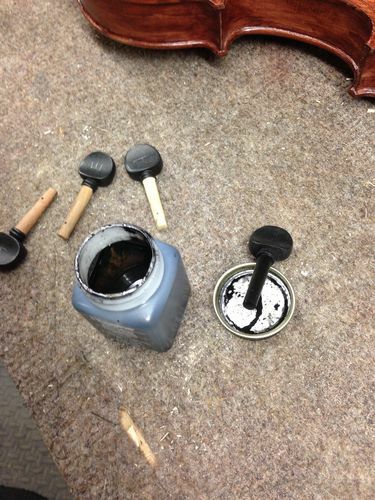 Then I dyed the peg shafts with india ink. Actual ebony pegs woould not require this step. The best source of info that I have found on setting up a violin is from this video and the two that follow it. So a tapered reamer for tapered pegs? Seems simple enough. Exactly. And naturally the taper matches. When I ordered mine, I read the description very carefully.